Bangladesh is a huge country in terms of population. The government of Bangladesh conforms fully to the Education For All (EFA) objectives, the Millennium Development Goals (MDG) and international declarations. 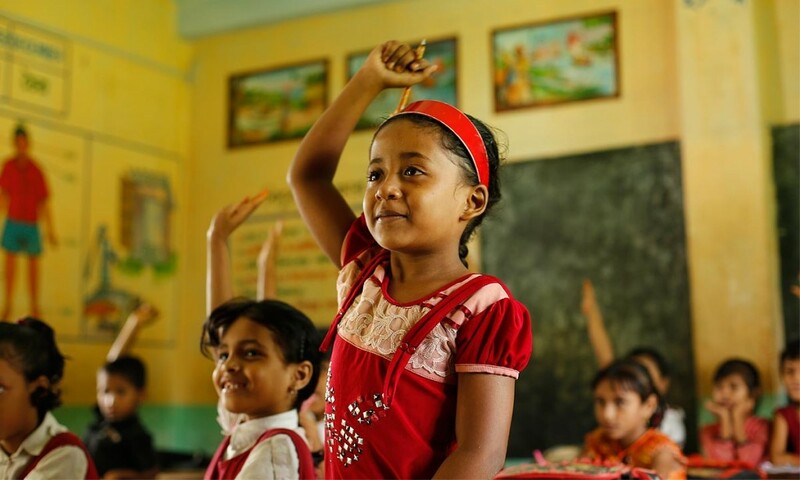 Article 17 of the Bangladesh Constitution provides that all children between the ages of six and eighteen years receive secondary education free of charge. But there is the serious question mark on teaching quality of the country. According to World Bank, quality of education means levels of student achievement that meet defined minimum standards. In Islamic perspective education is often defined by Muslim scholars from three different dimensions which are reflected in different concepts introduced, important among them are; tarbiyyah – the process of education that gives emphasis on physical and intellectual development of an individual; tadib – the process of education that gives emphasis on nurturing good human beings with noble codes of conduct/ethics approved by Islam, so that he may conduct and position himself in society with justice; and talim– the process of education that is based on teaching and learning. In Bangladesh, though the pass rates in public examinations are getting higher, a huge number of students are failing to master the desired competencies due to a flawed teaching system. The most common teaching method at secondary classes in the country is lecturing and reading textbooks and when it comes to interaction, teachers only ask closed questions like “yes” or “no” to check whether the students have memorized the textbook information. A report titled “Bangladesh Education Sector Review” published by World Bank said that the teaching practice goes hand in hand with current examination system, which tests only memory recall from the textbook. It also observed that the teachers feel uncomfortable in adopting innovative educational approaches as they fear that using other approaches may result in poor performance in examinations. The government of Bangladesh operates many schools in the primary, secondary, and higher secondary levels. It also subsidizes parts of the funding for many private schools. But the problems are shortage of manpower, inadequate training and infrastructure facilities, poor pay and social status of the teachers. Bangladesh faces challenges due to the drop-outs from schools because of poverty and stay out from school, shortage of educational institutions than the demand, low quality education system, inefficient teachers, faulty exam procedures, a shortage of quality in education and inadequate budget allocation for education sector. Education and skills are both needed in today’s world and Bangladesh needs to make adequate investment in this regard. Not only should children complete their education but they should also have the necessary skills to meet the challenges of an increasingly complex future. To achieve the goal of quality education and skill development the government must take the lead to be supported by others. World Bank says, six actions are needed in this regard. (f) Manage the system better. The 21st century has seen some pretty significant changes to teaching methods from educators in the field. You’re responsible for providing the best possible outcomes for your students, and that’s a tall order. But with the right tools and strategies, and of course the right attitude, your students will not only meet specific learning objectives but have fun while doing it. Good teachers know that the best teaching strategies are based on research. Most of this research looks at how students take in what they’re learning and how the best teachers give students information. Here are some teaching strategies that work for all children, including those with learning and attention issues. A teacher, who can make learning not only fun, but engaging and memorable, will help establish the value of education in the mind of the student. Great teachers can help make the material more memorable by taking small steps. It’s known that the place in our brains where we process the most information is quite small. When we’re asked to learn too much at one time, we can get overwhelmed. For a child’s developing memory, a teaching strategy called “chunking” has proven to be most effective. Chunking refers to teaching in small steps while checking for understanding along the way. Be sure to ask many questions and talk about the answers with students. In order for the chunking method to be effective, teachers need to ask a lot of questions. They should ask their students to explain how they got their answers to promote vocal problem solving. Asking a student to think out loud while solving a problem helps the teacher identify key areas where a student needs more help. Preparedness: Being prepared is more than just bringing handouts to class. It’s about being mentally and emotionally fit to teach and supervise children. Remember, each day is a new day so come to class with an open mind, a schedule of the day’s events and to-dos, and a back-up plan in place. Prepared teachers help propagate students to be more prepared as well and when you have focus, they’ll take notice. Encouraging Creativity: It’s so important to stimulate students’ creativity and imagination. You can foster a generation of innovators just be encouraging students to experiment with improvisational skills, role play, and other active learning techniques. These activities not only build confidence but speech and language skills as well. Demonstrating Kindness: Again, might sound like a no-brainer, but it’s easy to forget the importance of demonstrating kindness and caring when students are unruly or inattentive to instructions. But when students act up, that doesn’t mean you throw in the towel. It’s okay to share your feelings of disapproval—communication is key! However, remember that your students are human, too, and they will have days that they are distracted. Since they’re the embodiment of the limited experiences they’ve already had, all you can do as a teacher is provide memorable educational experiences that will have a significant impact on their development. Education in Islam is not merely of acquiring intellectual knowledge but it is a mean of molding the nature and character of individuals so that they can collectively represent Islamic values, behave as khalīfatullāhfī al-ard (vicegerent of Allāh on earth), to serve as witnesses to truth and noble conducts. This Hadīthis general, even a parent who teach their children the Qur’an are considered among the best teacher, as the Quranic words are the words of Allāh and the best in the world.In modern time, the termtalimimplies the above meaning, as well as knowledge delivery system, its methodology, evaluation and assessment. Thus, it does not reflect the development of the man himself as the subject of education in Islam.Serious assessment on student is moral and ethical, in addition of examination and class assessment. For example, a student who score high marks in examination is not necessary considered as an excellent student unless he/she is also behave. However, the main responsibility for students’ education falls on parents who take credit for theirprobity and bear the burden of their errors, while teachers are only sharing part of thisresponsibility. This understanding is needed to be propagated to the society by the stakeholder.